ICC WORLD T20 WARM UP MATCH 2016: Mohammed Shami will test his match fitness during the India versus West Indies World T20 warm-up match at Kolkata’s Eden Gardens on Thursday night. Catch live updates of the India vs West Indies warm-up tie here. Kolkata: Clearing concern about his fitness, India pacer Mohammed Shami was in full flow today during the practice session of the Indian team on the eve of their ICC World Twenty20 warm-up fixture against the West Indies in Kolkata on Thursday. Shami bowled with a good rhythm to Indian star batsmen trio of Rohit Sharma, Virat Kohli and Yuvraj Singh and the latter even had some problems negotiating with the pace and movement. The 25-year-old pacer was never in trouble and looked as if he continued from where he had left during his bowling spell spanning for more than half an hour.Indian team director Ravi Shastri also made it clear that Shami will figure in the playing XI during the two warm-up games against West Indies and South Africa in Mumbai on March 10 and March 12 respectively in order to assess his fitness. “He’s in the side and obviously he will play,” Shastri told reporters on Wednesday as the pacer was seen paying rapt attention to India’s bowling coach Bharat Arun. India’s front-line pacer less than a year back, Shami is struggling to regain his place in the team following his surgery on his troubled knee. He had failed in his brief attempt during the Australia tour earlier this year when he pulled a hamstring. But keeping in mind his ability, Shami was kept in the World Twenty20 squad with Bhuvneshwar Kumar as the standby and a final call will be taken ahead of their WT20 opener against New Zealand on March 15. Bhuvneshwar too bowled in tandem with Shami, while Indian skipper Mahendra Singh Dhoni and Suresh Raina were seen batting against the spinners in their afternoon practice session. 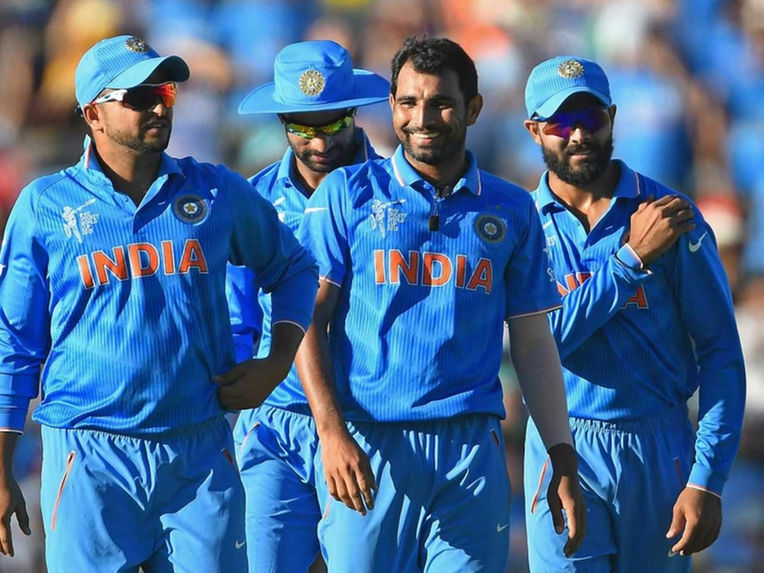 If Shami is declared fit, it will be a problem of plenty for the Indian think-tank. But the pacer will still struggle to fit in the XI as his replacement Jasprit Bumrah and veteran Ashish Nehra have proved to be a winning combination for India.